Walgreens is offering customers a Free 8×10 photo print when you order it online and pick it up at your local Walgreens store. Available for pickup the same day. 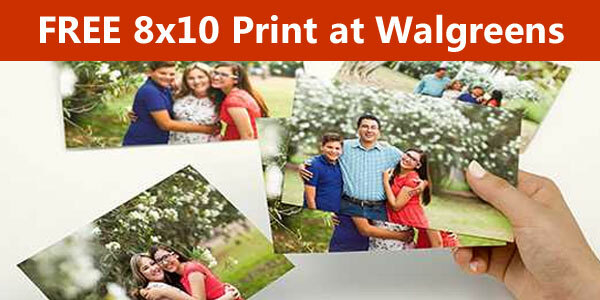 Visit the Walgreens Prints and Enlargements page on their website. Choose the 8×10 size from the drop-down list. Log into your account or create a new account. Upload your photo click Add to order. Find a location near your by typing your zip code. Click on the location to select it. It will show you the date and time it is available for pick. You can also have a friend pick up your photo if you wish. Just select the “I would like a friend to pickup this order.” option on the last page. Print and share your favorite memories. Feature on matte photo paper, available for pickup the same day. This free photo offer expire April 21, 2019.